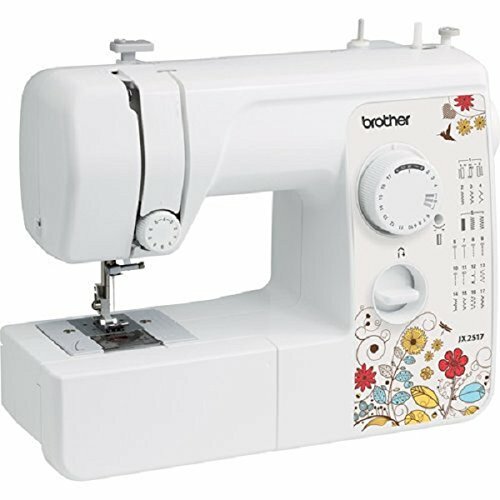 Brother JX2517 Sewing Machine Review - Is This Product Any Good? Are you in search for a good sewing machine? Are you a beginner or a professional sewer overwhelmed by the options out there? Nevertheless, finding a good sewing machine is no easy task. With so many options out there you are bound to be confused by which one to invest in. Well, all your sewing woes have been heard and answered! Shortly, you’ll be introduced to a sewing machine that may be the one you’ve been looking for. 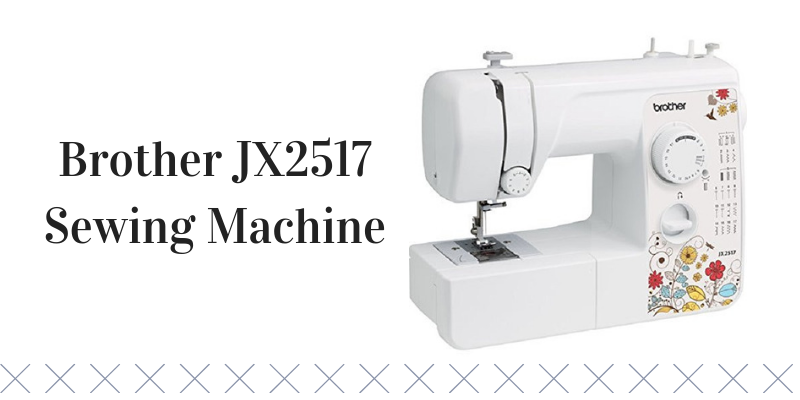 I’m talking about the Brother JX2517 Sewing machine. It’s a machine that has everyone raving about how good it is. So, to find out more about it, keep on reading. The whole Body is a beautiful tone of white with the brother logo in black. There is a gorgeous flower pattern on the body which makes a perfect addition to your sewing equipment. The machine weighs about 12 lbs. only. Consequently, it is quite lightweight and portable. You can easily take it to sewing classes or maybe travel with it. Learning to use this machine is not a hassle by any means. It comes with a user manual that includes all the information you need on learning how to use this machine. Moreover, it is important to consult the manual for learning the working of the machine to avoid damage to it. Furthermore, the very design of this machine is beginner friendly. 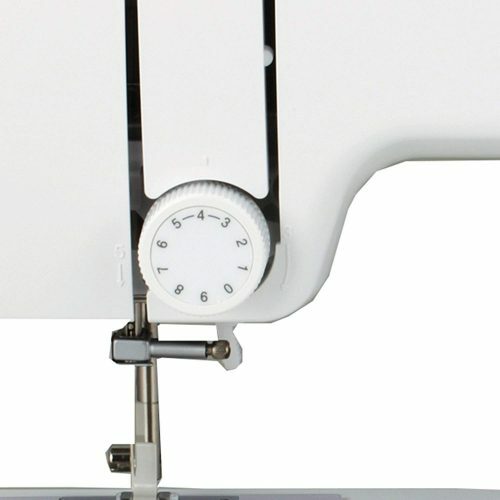 It comes with an easy automatic Bobbin winding system, easy to use blind hem stitch, etc. To make it easier to use the dials are well-labeled. Moreover, you can select your preferred stitch or pattern by just the turn of a dial. Another great thing about the BrotherJX-2517 is the jam-resistant, quick set-top bobbin. Therefore, this machine is easy enough to use. Furthermore, an LED provides illumination to the work space. Let’s have a look at the specs and accessories! Here’s a little about the manufacturer’s themselves! Brother industries ltd. is a multinational and electrical equipment company. Furthermore, it is based in Nagoya, Japan. Their products include printers, desktop computers, fax machines, sewing machines, etc. They are widely trusted to deliver the best sewing machines. Moreover, their home machines are said to be pocket-friendly. Their machines cater to a wide audience be it a novice or a skilled professional. All can take advantage of the amazing brother equipment. Currently, Brother is a leading manufacturer of high quality, high-performance sewing, and serging machines. People all over the world recognize and trust them. The Brother JX2517 comes with a limited one year warranty. Furthermore, the warranty begins from the day of purchase. Brother has warranted this machine and the accompanying items to be free from defect in material and workmanship. However, the machine is not warranted from physical damage, damage caused by improper installation, abnormal or commercial use, etc. Therefore, you are suggested only to use this machine under normal circumstances. Moreover, learn the workings of this machine prior to using it. Furthermore, it is advised to maintain your machine properly. Moreover, replace items prone to wear and tear like needle and bobbins. In case of finding your machine faulty or eligible to warranty services, contact the nearest authorized Brother Service center. Let’s have a look at the features now. 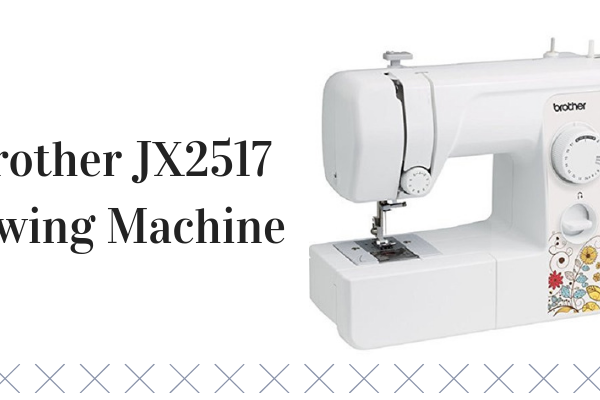 The Brother JX2517 comes with a total of 17 built-in stitches and an automatic 4 step button-hole stitch. Furthermore, there are 38 stitch functions. The focus of this machine is to handle basic and utility stitch functions. It may not be suitable for many decorative stitches. However, it does come equipped with a few. Furthermore, the stitch speed offered is 900 stitches per min. That is beyond perfect for a sewing machine with the capabilities such as this one. You will be able to complete projects in a lesser time frame. Moreover, the stitch speed offered is uncommon for a sewing machine of this price range. This design of this machine is ergonomic and efficient. It comes with a free arm that would allow you to reach otherwise hard to reach areas. Such areas include cuffs and sleeves. Furthermore, it comes with built-in accessory storage. How convenient! You won’t have to worry about any extra drawers or pouches while you sew. You can store all your sewing accessories within the machine. Consequently, this feature makes it easier to store your sewing equipment and saves you a ton of space. The very design of this machine ensures that it can be easily used by beginners. Moreover, it comes with many features that provide a hassle-free sewing experience. It might be difficult for a beginner to wind thread around a bobbin. However, this machine comes with an automatic bobbin winding system which really dissolves the problem. Furthermore, the easy to use blind hem stitch can help you create invisible hems on fabric. Moreover, the workspace is well lit by an LED light. Unlike a normal light source, a LED provides better illumination which is essential while stitching. Lastly, a feature that makes working on this machine absolutely foolproof is the comprehensive user manual. You have all the information in there from the working of this machine till the application of each stitch. Everything you could possibly want to know is well explained. Perhaps one of the scariest things to experiment with while sewing is working with these two feet. No matter how useful they are for creating buttonhole on fabrics they are intimidating. 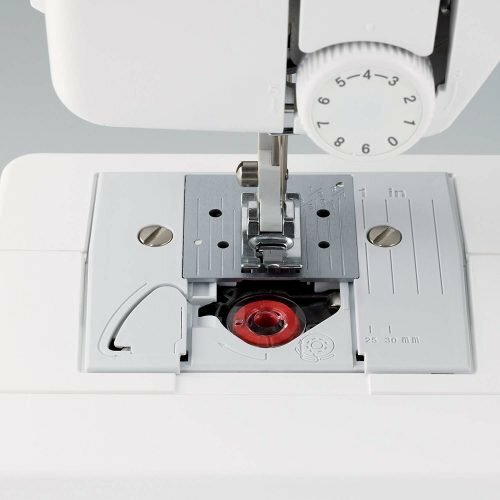 However, this machine comes with a four-step automatic button-hole stitch which makes creating buttonholes simple. Furthermore, with the button sewing foot, you can attach a button with two to four holes on the fabric. The manual contains instructions to operate these. A zipper foot has indents for the needle to be able to move either side of the foot. Consequently, you can sew a standard zipper on your fabric with this foot. Furthermore, the zigzag is also known as an all-purpose foot or general sewing foot. It can be used for utility stitching like a straight stitch and zigzag stitch. Still contemplating whether or not to buy this? Let’s look at the pros and cons. May not be suitable for professional sewers. In conclusion, the aim of this review was to help you decide whether or not you should invest in this machine. It’s not easy to find quality, high-performance sewing machines. However, Brother as a brand delivers nothing but the best, and this sewing machine is another example of that. It may be too basic for skilled professionals. OR they may be expecting more out of their equipment. 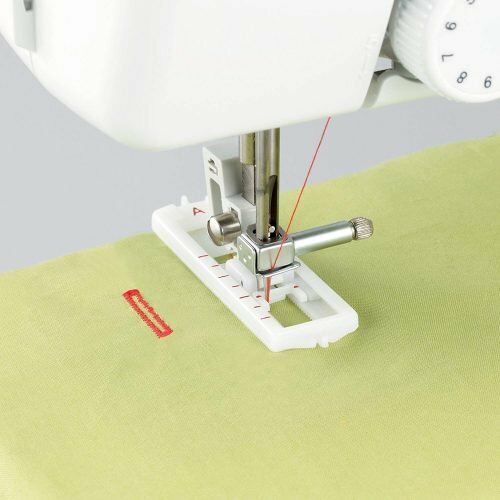 However, for people just starting out with sewing, this is a great choice and has a good return on investment. Happy Sewing!